This coverage is designed just for medical offices owners. At no extra cost, it includes many important features that more general coverage overlooks, including our unique Medical Office Endorsement. This extends coverage on your professional equipment to include loss by earthquake, volcanic eruption or flood, while in the US or Canada. Professional Liability is also available. Our Medical Office Endorsement extends coverage for your medical, surgical or dental equipment, supplies and related property. Also includes similar property of others while in your possession. This program provides extra coverages to fit your particular needs that other standard policies overlook. It gives you the extra service you need to help you protect your business. We offer this special program because your business faces many hazards. Whether it is a damaged retaining wall or a stolen tool, we can protect you. Coverage can also be tailored to protect your buildings, loss of business income and losses due to crime. We can even protect you with employee dishonesty coverage. This coverage is designed just for printers. It includes many important features that more general coverage policies overlook. Includes: Printers Property Extension Endorsement at no extra cost, we cover plates, films, negatives, artwork and other printer property. Coverage includes marring and scratching of plates that belong to others but are on your premises. Printers Errors and Omissions Coverage, unlike many carriers that write this coverage we don’t require a deductible. And we don’t write it on a “claims made” basis. This coverage is designed just for Funeral Directors. It includes many important features that more general coverage overlooks. Includes: Funeral Directors Property such as chairs, dollies, lifting equipment and other items are covered for up to $25,000 off site. Property of Others, customer property, including items that are part of a viewing, is included in Business Personal Property without regard to your legal liability. Optional: Funeral Directors Professional Liability Coverage which covers you and your employees for liability arising out of your professional acts. It also covers your liability for damage to visitors’ autos as a result or parking or a procession to a cemetery, with a limit of $25,000 per occurrence with a $500 deductible. This coverage is designed just for Styling Salon Owners. It includes many important features that more general coverage overlooks. At no extra cost, it includes many important features that more general coverage overlooks. Our optional Professional Liability Coverage covers claims due to hair cutting, styling or trimming and claims due to permanents, tinting, bleaching or other similiar services. We even protect against claims that might arise from the unaltered hair care products you sell. Coverage extends, up to $250 limit, to damage to customers’ property that is left with you. We cover you and the stylists renting booths from you. We also cover manicurists who are part of the business. This coverage is designed just for barber shop owners. At no extra cost, it includes many important features that more general coverage overlooks. Our optional Professional Liability Coverage covers claims due to hair cutting, styling or trimming or other services you provide. We cover you and barbers who rent booths from you. Coverage even extends to damage to customers’ property that is left with you, up to $250. With the Personal Property Endorsement, you select the amount needed to properly protect your higher valued personal items. Also, in some cases, you can group like items together, covering them under a single, “blanket” limit of coverage for that particular group. Items such as: Bicycles, Jewelry, Furs, Stamps, Collections, Fine Arts, Silverware, Sports Equipment, Musical Instruments, Golf Equipment, Recreational Vehicles, Wedding Gifts, Cameras and Equipment (Non-Commercial), Coin Collections, Misc Items. The Preferred Risk Policy (PRP) is designed to insure homes which are located outside of special flood hazard areas. Building and contents coverage is available for 1-4 family homes in B, C and X zones which have a limited history of loss from floods. In addition to enjoying your independence and the world’s shortest commute, you no doubt have much in common with millions of other entrepreneurs of the ’90s who have chosen to earn their living at home. Your probably have a desk, one or more computers, a fax machine, other office equipment and supplies. We hope you also have plenty of clients or customers. What you probably dont’ have – but really need – is insurance to cover your business exposures. It may ome as a surprise, but most homeowners policies severely limit coverage for business property, and specifically exclude coverage for business liabilities. Fortunately, there’s no need to purchase a separate business policy. All you need is a low cost endorsement that can easily be added to your current policy. Coverage is available for all types of collectible cars, Antiques to Muscle Cars to todays high tech off the line sports cars. Age of the car does not matter. If you have had it for years or just picked it up from the dealership yesterday, we will insure your “Baby”, much cheaper than the regular insurance rates. We even have programs for Street and Custom Rods. As you already know, buying life insurance can be complex and confusing. There are many different products with competing costs and goals for the purchasers. Leonard-O’Neill Group representatives can help you through the complex array of products to find the one that best matches your goals and needs. When reviewing your current budget, the lower cost of term insurance may make it more appealing than permanent coverage. While term insurance provides the needed protection, and may be appropriate for some people, for others, it can only serve as a short term solution. The Leonard-O’Neill Group can provide whole life insurance designed to achieve long term goals by providing lifetime coverage. Plus, permanent insurance also allows you to accumulate cash value from your policy that can be borrowed or withdrawn. You can accumulate any dividends that are declared and use them to help pay future premiums, purchase additional coverage or surrender them for cash. Quite often, cash value in life insurance policies may be used for college education, emergency funds or to expand a growing business. The values in your policy accumulate on a tax-deferred basis, helping you build a substantial retirement income. In the event that you later become uninsurable, you’ll have a solid policy in place providing protection all for a very affordable cost. This program provides extra coverages to fit your particular needs that other standard policies overlook. It gives you the extra service you need. We offer this special program because your business faces many hazards. Whether it is a damaged retaining wall or a stolen tool, we can protect you. Coverage can also be tailored to protect your buildings, loss of business income and losses due to crime. We can even protect you with employee dishonesty coverage. Simplified IRA & 401k Retirement Plans – We can help you establish a way for your employees to save for their retirement on a pre-tax basis without a requirement by the employer to contribute for the employee. The employer contribution requirement is discretionary with two choices of contribution. The employer contribution can be setup on a vesting schedule requiring the employee to work a certain amount of time before the employers contribution is fully vested for use at retirement or termination. These plans can provide a valuable way to attract and retain quality employees. You can setup a plan individually or with employees with low setup and administration fees. This program provides extra coverages to fit your particular needs that other standard policies overlook. It also gives you the extra service you need to help you protect your business. We offer special Artisan Contractors program because your business faces many hazards. Whether is is a damaged wall or a stolen tool, we can protect you. Coverage can also be tailored to protect your buildings, loss of business income and losses due to crime. Like you, we believe in protecting your business. One complete program.. serviced by one agency and one insurer. The Artisan Contractors Program makes value and security easy and affordable for you. Can you afford to cross this bridge when you get to it? With Americans living longer, many of us may need long term care at some point in our lives. People with assets can end up paying for Long Term Care out of their own pockets. Government programs cover much less than you might expect. In fact, nearly half of all Long Term Care expenses are paid out of pocket! * Nearly half of all people over age 65 may spend some time in a Nursing Home * For every person in a Nursing Home, five people may need similar care at home * Medicare pays less than 7 percent of all Nursing Home bills in the US. This program primarily covers short-term stays for rehabiliation * Medicaid pays a significant portion of Long Term Care expenses, but only for those with little income or assets. Bonding is a key element of your business; let us be a key asset! Q: Why is bonding so difficult? A: It doesn’t have to be! Let us help you. Q: Where is the professional expertise I need? A: You can find it with us! * 53 Years Experience * We get results Q: What’s the difference? A: We have; * Service * Numerous markets (all Treasury Rated) * In house power of attorney Put our experience on your team. Provides coverage for physical damage to property used in a commercial enterprise, such as fire, vandalism, etc. This coverage protects your business from claims arising from alleged bodily injury, personal injury or property damage liability. It includes protection for services you render or products you sell. Coverage payments can include judgements, attorney fees, court costs, or other related expenses. Property that is mobile in nature has been traditionally handled on these types of policies. A wide variety of forms and coverages has been developed to handle the needs of this property. This policy can provide a combination of liability protection and physical damage coverage for loss due to damage to vehicles owned, maintained, or used by you. Additional coverages such as medical payments and uninsured otorist protection can be purchased to “customize” the policy to fit your business. State law requires that every employer provide Workers Compensation insurance for their employees. This insurance provides coverage for accidents or disease arising from employment as prescribed by these stat laws. Benefits can include lost wages, medical expenses, and permanent disfigurement/disability payments. We have individual or group products from various carriers from the state mandated plans A thru E for single, husband/wife, parent/child & family plans. Group rates are also available. If you do not prefer the restrictiveness of HMO plans, we have plans available to give you the option of any doctor. 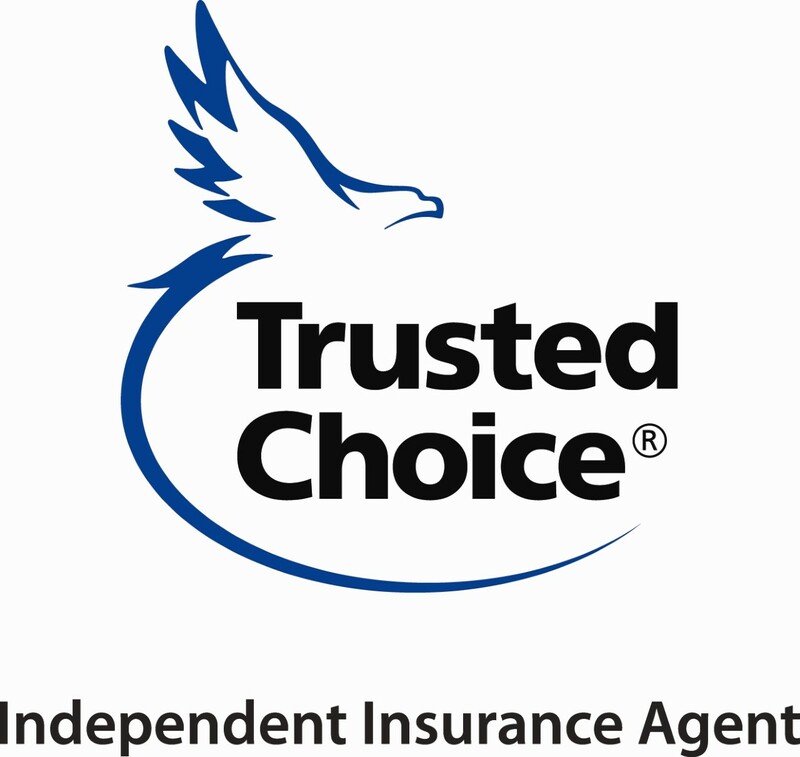 We represent several A-Rated Life Insurance Companies. One company, Harleysville Life, offers preferred rates to applicants in good health who do use tobacco and offers a group guaranteed issue program. Inquire for a quote to see if you qualify. If you have an interest in disability coverage, we have excellent markets for blue collar workers on both an individual or group type exposure. Coverage is based upon annual income, age, smoker, non-smoker and elimination period (deductible) based upon 30, 60, 90 or 120 days. We can help you establish a way for your employees to save for their retirement on a pre-tax basis. The employer contribution requirement is discretionary with several choices of contribution. These plans can provide a valuable way to attract and retain quality employees. You can setup a plan with one or more employees. Call Roger Leonard Jr. at ext 427 or email for a quote.